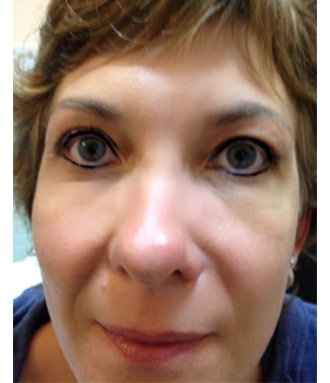 Improve & Enhance Natural Beauty with Permanent Eyeliner! Always an Eye-Opener! Defining the eye is an essential part of looking your best. Permanent eyeliner / eyelash enhancement is placed right into the lash line and it will get you noticed. 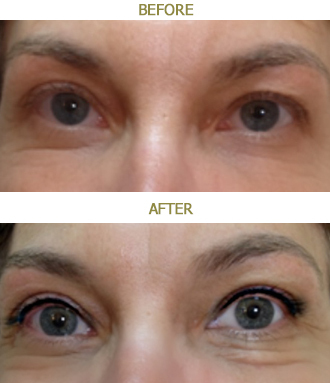 If you have experienced dark circles under your eyes from your eyeliner running or smudging throughout the day, then permanent eyeliner is a great option for you. We can create a natural looking fine line or darker, dramatic line for a sophisticated appearance. Eyeliner can be a full line, a quarter line or a half line–all to the client’s preference. 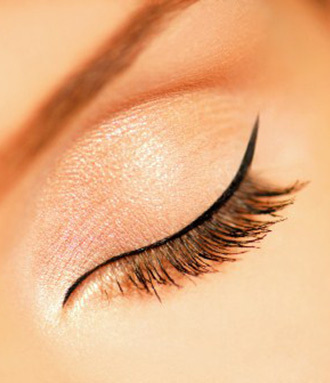 We can suggest what color would look best and how thick or thin your eyeliner should be. Colors are custom mixed for each individual and include beautiful shades of blacks, browns, blues, greens, and greys. Eyeliner is applied to the lash line (upper lid, lower lid, or both upper & lower lids) to give your eyes a fresh, open look, make eyelashes look fuller, and add definition to the eyes. There is little to no down-time following the application of permanent eyeliner. Because of that it’s hugely popular and the most sought-after enhancement.